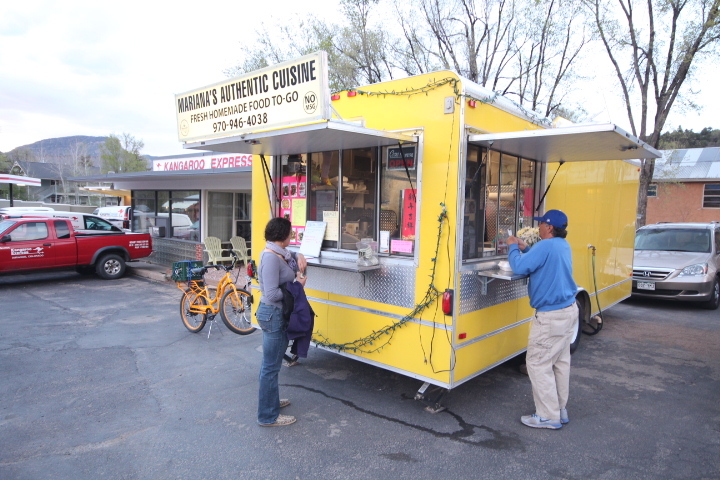 Marianah Hidayat, who’s been running her mobile kitchen trailer in Durango since 2012, has relocated to the parking lot at Kangaroo Express on College Drive. The official address is 610 E. 8th Avenue. With fresh ingredients, and hefty portions with no MSG, it makes Marianah’s authentic Asian food worth taking the trip where a covered seating area is available. This blogger tried the Ayam Goreng (Indonesian pan-fried chicken), which was some of the best chicken that I’ve ever tasted. 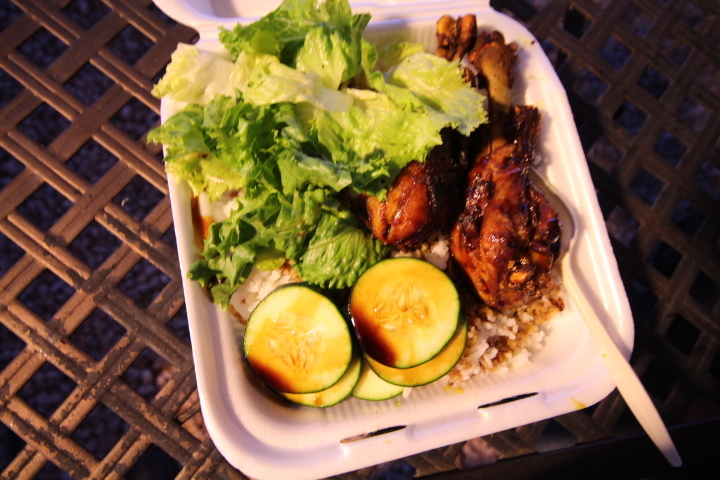 It had lettuce and cucumber with a house sauce served on rice. It was very simple, but I’d recommend it. Marianah said that the City of Durango will not allow her business to exist in any one spot for more than 6 months, and charges her $30 for each new location where she move to, in addition to a $50 dollar planning department fee and a $50 dollar business license. Dealing with the City’s hefty regulations is difficult and expensive, she said. Ayam Goreng is Indonesian pan-fried chicken. If and when she moves her kitchen trailer again, I’ll keep you updated. A menu of Marianah’s Authentic Cuisine can be seen by clicking here: Marianah’s Authentic Cuisine menu. 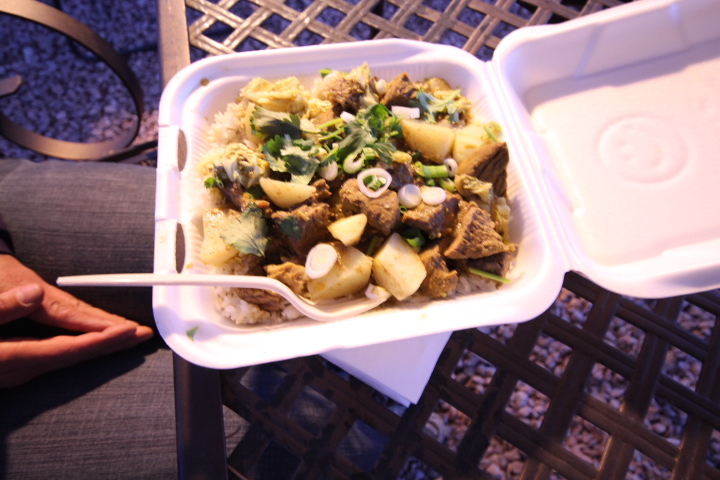 My ex-girlfriend (we were together at the time) had Rendang (beef curry), which looked really good. Rendang is the beef curry that Emily ate.